This will probably be the only time I link up to this. Any Montessori activites I ever try to do always go horribly awry, and so I just sit and look at everyone else's activities and think they look so cool. But I was so happy that a completely unintentional activity turned out so well. But, this one wasn't planned. At all. She just found the different materials sitting in the sewing/school room and while I was cleaning in there had at it. 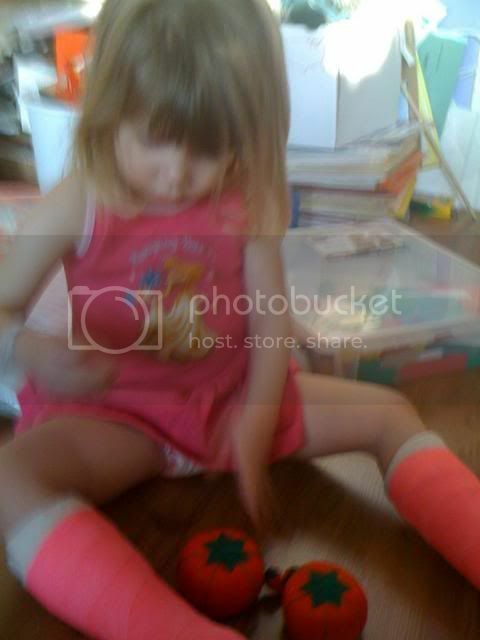 All she was doing is sticking pins in a pin cushion. I have three of them I'm planning to load up and then color to look like Bob the Tomato and then give them to some girls I'm teaching sewing to. 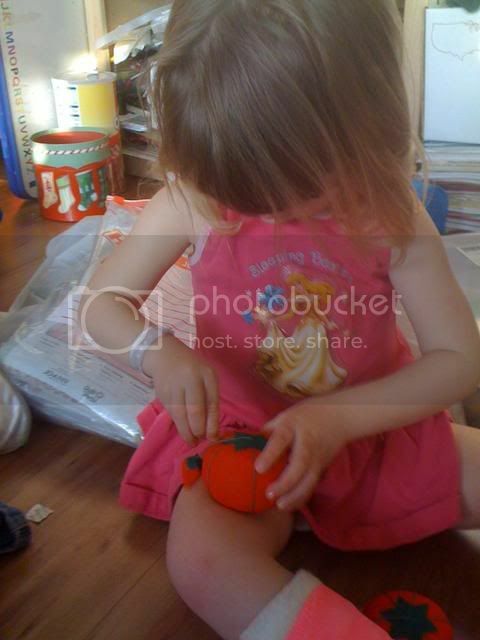 My daughter happily sat there stuffing pins in those tomatoes for five minutes or so. 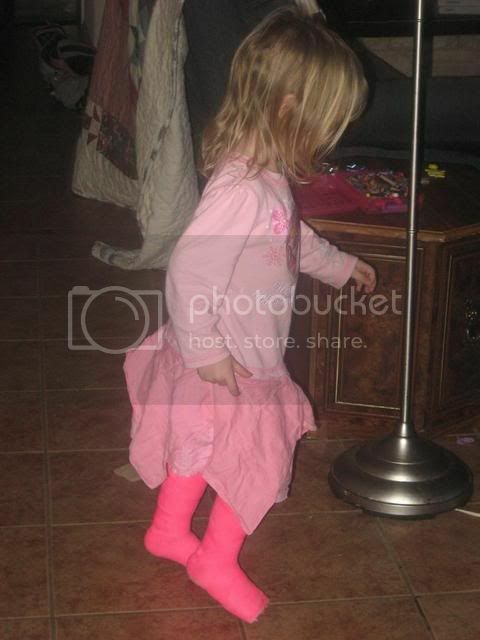 Look she walks on tile now! And just to make sure I'm still on my toes she tried to slide down the stairs yesterday, and I had to run and catch her because she lost control on those last few steps and tumbled down the rest of the way. I guess my heart got a good workout there. She was fine, just a little scared, and that convinced both of us more than ever that she can't do stairs with her casts. No matter how much she wants to. Head on over to One Hook Wonder for more Montessori Ideas. I'll just go look at them and revel in my inability to do any of these when I try.